The town of Enfidaville is approximately 100 kilometres south of Tunis, via the autoroute on the main coast road. 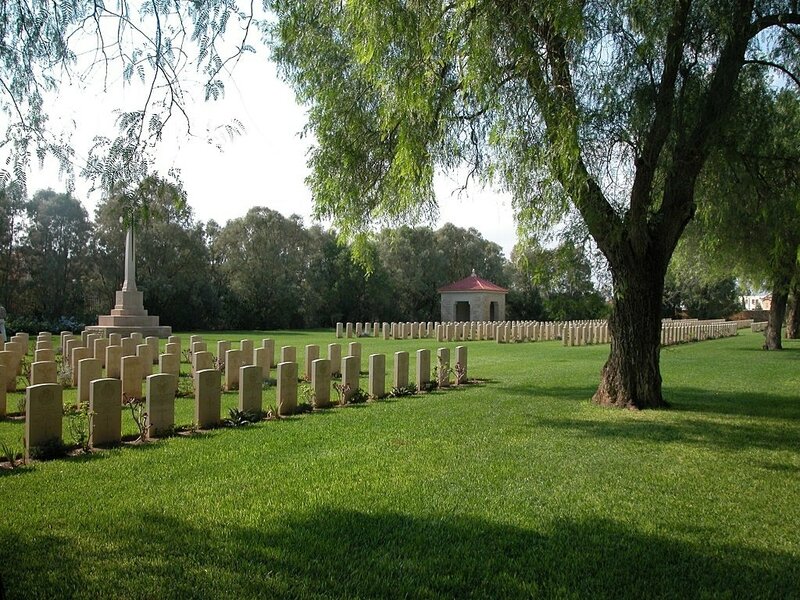 The War cemetery is 1 kilometre west of the town centre, on the road to Zaghouan, and its approaches are well signposted. It is immediately south of a small derelict Christian civil cemetery. The campaign began on 8 November 1942, when Commonwealth and American troops made a series of landings in Algeria and Morocco. The Germans responded immediately by sending a force from Sicily to northern Tunisia, which checked the Allied advance east in early December. Meanwhile, in the south, the Axis forces defeated at El Alamein were withdrawing into Tunisia along the coast through Libya, pursued by the Allied Eighth Army. By mid April 1943, the combined Axis force was hemmed into a small corner of north-eastern Tunisia and the Allies were grouped for their final offensive. 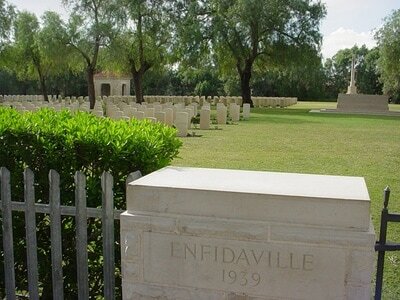 The Eighth Army attack on the position at Enfidaville on 19 April captured the village, but strong resistance meant no further progress was possible. Attacks further north met with greater success and Tunis fell on 7 May, Bizerta on the 8th. 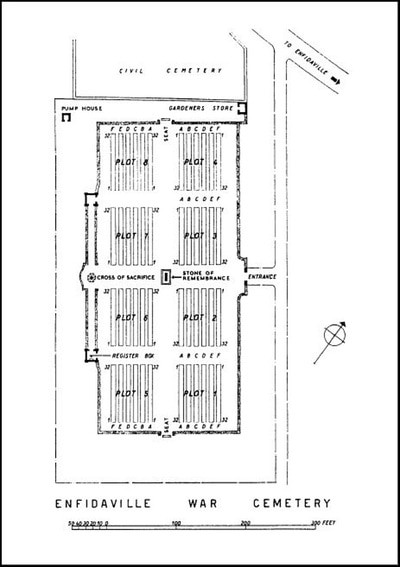 By 11 May, the position at Enfidaville was surrounded at resistance ceased on the following day. Most of those buried at Enfidaville War Cemetery died in the final battles from March to the beginning of May. The cemetery contains 1,551 Commonwealth burials of the Second World War, 88 of them unidentified.